As my sister said... don't let the cuteness fool you, they're really a secret gang of evil toddlers. Even Carter's head tilt is like "Yo, you got a problem with us?" A gang of evil toddlers makes me laugh. And you're right, Carter's like "What? Bring it." Ha Ha this is so funny! Love it! this makes me laugh and smile! connor's head tilt is cracking me up. 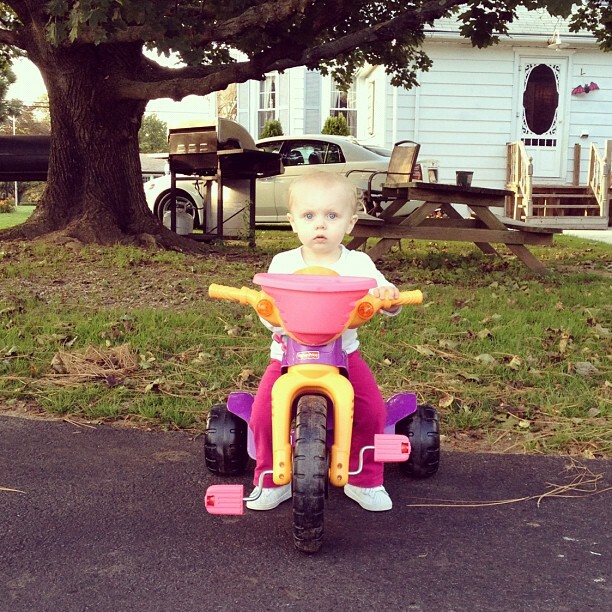 and i'm not fooled by brynn's cuteness, i bet she's the leader. Ha ha! I still love this! Off the chain cuteness! 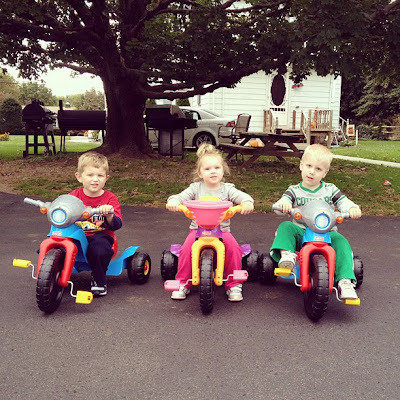 Toddler Bikers! Awww...adorable. I have a picture similar to that with my sons. Just a little FYI: your daughter is adorable. 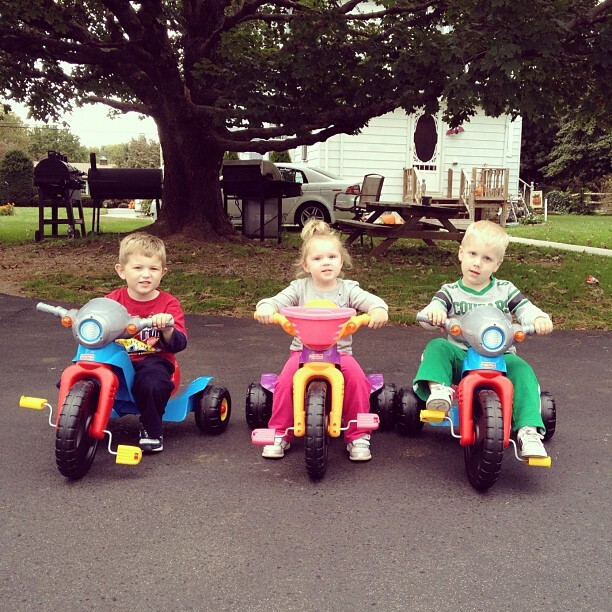 That picture on the trikes is classic! The head tilt says it all. That is hilarious!!! Thanks for the smile this morning! They sure do look like trouble! Very cute gang, you have there! I love how determined they look. Thank you for hosting this linky. I am following you by GFC, and I would really appreciate it you would follow me too. Thanks again for hosting. I have a new photo blog... will you check it out? Carters face is pure "...Bring.It..." lol Love it.